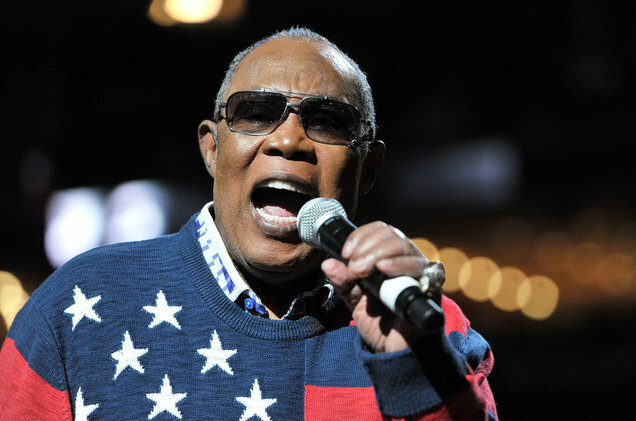 Legendary Soul Man™ Sam Moore’s Grammy award-winning voice has been heard around the globe, across multiple music genres connecting audiences of all generations for more than 60 years. Over the span of his critically acclaimed career, Moore’s music has been a universal and driving force to help bridge gaps among social divides. His recent artistic endeavor to bring greater awareness of the nation’s armed services and veterans has been met not only with rave reviews and standing ovations but has also re-engaged civilian audiences who have experienced an awe-inspiring sense of patriotism. Within the past year, Moore has performed exclusive renditions from his An American Patriot album of iconic American classics for several veteran fundraisers including the Opening Ceremonies of the 2017 Warrior Games in Chicago, Johnny Vet: Freedom Isn’t Free in Washington, D.C., and Guitar Legends for Heroes in New York. The first 20-plus years of Sam Moore’s sensational career began by lending his unmistakable lead vocals to soul duo Sam & Dave. The 1967 smash hit “Soul Man,” catapulted the duo’s career up the Pop and R&B Charts, selling more than 10 million records worldwide and ultimately an induction into the Rock & Roll Hall of Fame. Moore also scored critical acclaim and numerous awards as a solo artist for more than 35 years, performing at some of the world’s most iconic and notable venues, including Carnegie Hall, Lincoln Center, The Hollywood Bowl, The Ryman Auditorium, The Grand Ole Opry, Royal Albert Hall, Nippon Budokan, The John F. Kennedy Center, The White House, Lincoln Memorial and Washington Monument. Moore has recently joined Florida International University (FIU) as an Artist in Residence for their Center of Humanities to build a program around the artist histories that shaped our culture through music. For more information on The Legendary Soul Man™ Sam Moore click here. Founded in 2011, Code of Support Foundation (COSF) is a national 501(c)(3) nonprofit organization that provides essential and critical one-on-one assistance to those service members, veterans and their families who have the most complex needs and are on the brink of crisis. COSF is dedicated to leveraging the nation’s full spectrum of resources to ensure all members of our military, veterans and their families receive the support services they need and, through their collective sacrifice, have earned. COSF’s integrated programs include personalized, holistic long-term case coordination services that serve all service eras across the nation. To learn more click here. With more than 25 years in the culinary profession, Chef Robert Irvine has cooked his way through Europe, the Far East, the Caribbean and the Americas, in hotels and on the high seas. As the host of one of the Food Network’s highest-rated shows, Restaurant: Impossible, Irvine saved struggling restaurants across America by assessing and overhauling the restaurant’s weakest spots. Irvine was previously the host of Food Network’s Dinner: Impossible and Worst Cooks in America, has authored two cookbooks, Mission: Cook! and Impossible to Easy, and one healthy living book, Fit Fuel: A Chef’s Guide to Eating Well and Living Your Best Life. Irvine is currently on tour with his new, interactive live show Robert Irvine Live, and appears regularly as an expert guest on national morning and daytime talk shows. Irvine recently established the eponymously named non-profit organization, The Robert Irvine Foundation, in an effort to support military personnel and their families. For more information on Chef Robert Irvine click here.